Have you started your Christmas and Hanukkah shopping yet? No? Good Lord, what are you thinking!? 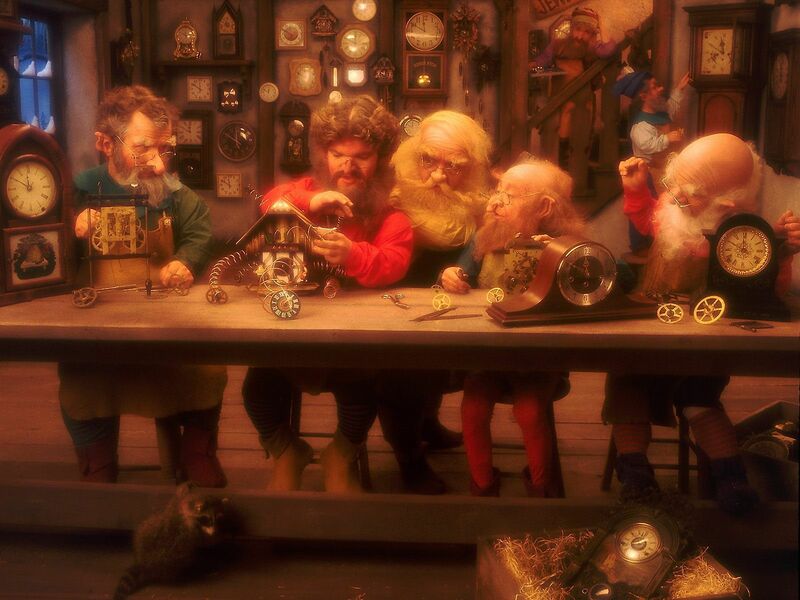 There are a mere 7 days left until the start of the latter, and as I type, Father Christmas is busy in his workshop preparing for the former, no doubt fantasising about eating mince pies and drinking Port until the seams of his red outfit (sponsored by Coca-Cola) are fit to burst! Fear not, as usual our writers and editorial team have cobbled together a little selection of wonderful items to buy for your friends, family, or if you’re feeling greedy, for yourself. From the Editor: Henry Tomkins has been handcrafting beautiful bespoke leather bags for more than 20 years. 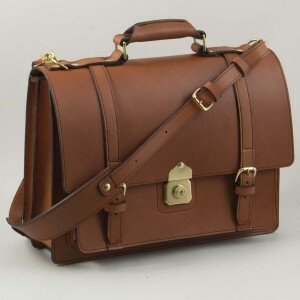 With a wide choice of designs from satchels to briefcases, book bags and rucksacks, Henry offers all his bags with various customisation options and an impressive selection of leathers. This is the perfect gift for someone who likes classic leather luggage but doesn’t want the same branded bag that everyone else is carrying on the train or plane. Of remarkably robust quality and elegantly finished, these are bags for life, each one handmade to order by Henry from his workshop on the edge of Dartmoor National Park. If you’re buying a gift for a cigar lover, the ultimate present this year is a sampler box of Cohiba Behikes – the world’s greatest cigar from arguably the world’s best cigar brand. At £140, you get each size of the fabled BHK: the Cohiba Behike 52, Behike 54, Behike 56, and a Cohiba 1966 Limited Edition 2011. Available in store and online from JJ Fox. And in the spirit of Winston Churchill, you could accompany this cigar set with a delicious potted Stilton from Fortnum & Mason (from £12.95), and a bottle of the superb 1970 Taylor’s Fladgate Port (£125 per bottle) from Berry Bros. & Rudd. From Larry: If Christmas hampers are your thing – or consumables of some sort – and you’re looking for something just that little bit special/different/exotic, then look no further than the East India Company. The cornerstone of Britain’s trade and Empire-building since its creation in 1600 by royal charter, the company has a fine selection of products that are just that little more unique than your common or garden food hall hamper. Surprise aunt Agatha with olive and orange marmalade, perhaps? Or try wowing your mother-in-law with strawberry and pepper jam? Or how about Lapsang Souchong mustard for the old man? 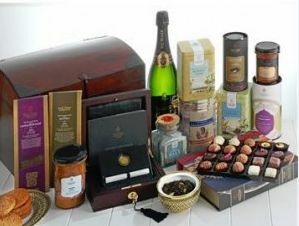 With a range of condiments, preserves, biscuits, teas and chocolates, you can indulge your loved ones with anything from individual items to gift boxes from the £150 Emperor’s Bequest to the almightily indulgent £995 Maharajah’s Durbar. Browse and taste in-store at Conduit Street or look at their website for more information. From Stirling: You may very well be a master taster, a purveyor of the heady liquid we call whisky and have the palate of a 12-year-old Frenchman (and I might add they make the best sommeliers), but do you have access to the finest cask strength whiskies or insight on what is upcoming, soon to be exceptional or just a bloody good drop that isn’t in the public domain? No, sir, you don’t. This is where the Scotch Malt Whisky Society presents itself: quietly, deftly and politely. “Good evening” it says in a dulcet tone which welcomes and inspires with quiet confidence. “Might we interest you in a no. 73.2, or perhaps a 101.5?” Well of course you can, dear friend, of course you can. The numbering keeps it interesting and without badge value. Badge value is only as good as the people looking at your badge and in this case there are two badges worthy of note (yes, a contradiction in terms I’m sure). 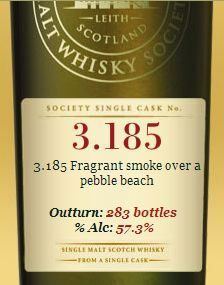 The price of the bottle and the SMWS code. Add to that effervescent descriptions of flavour, character and nose that challenge any wine aficionado’s vocabulary and the whole picture of what the SMWS is about has been laid out before you. The most glorious whiskies, without compromise or comparison. From Noah: Now here is something a little different: a curious collection of tableware and accessories for the discerning Christmas shopper looking to find a treat for someone who has everything but looks for more. 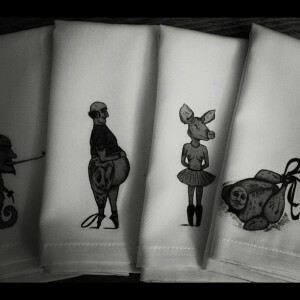 Of Ballet & Brawn appeals to the foodie, the aesthete, the host with the most, offering a selection of luxury aprons, tote bags and napkins. All are 100% cotton and adorned with unique illustrations that will delight anyone with an inquisitive temperament and sense of humour. There is a pig with a beautiful physique and ample attributes – she pirouettes on pointed slabs of bacon; a moustachioed figure with bulging belly and thighs of ham; or a sad-eyed waiter stuffed into a poulet de Bresse. All products can be bought online at www.ofballetandbrawn.com and will be delivered to your door – the packaging itself is a thing of beauty. A gift to savour this Christmas. From Gabrielle: All I want for Christmas – bear in mind, I have been a particularly good girl this year – is a bottle of Drambuie’s The Royal Legacy 1745. It doesn’t just sound and look great, this smooth, nectar-like, joyfully spicy liqueur, of which only 2,500 bottles exist, boasts a dangerously drinkable blend of Drambuie, rare aged Scottish malt whiskies, heather honey, herbs and spices. A matter of love at first sip, a welcome winter warmer, and a drink I’ve been hankering after another taste of ever since I discovered it in 2010. Sup for yourself and you’ll see what I mean. 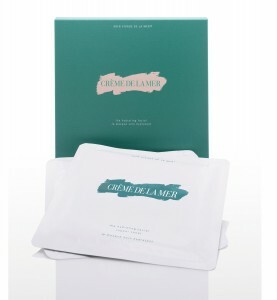 Due to my aforementioned impeccable behaviour, I have one more tiny request…Crème de la Mer’s The Hydrating Facial, six little sachets of dark green algae-rich fake awake to rejuvenate after the season of gluttony and wayward weather, and inject a healthy glow in preparation for another 12 months of jet-setting. Gifts such as these would make for a Joyeux Noel indeed! From David: While the cupcake craze is nothing new, Eric Lanlard’s are the very best, so why not treat yourself (forget the others at Christmas) to the best of the best. Choose from triple chocolate, lemon & white chocolate, Madagascan vanilla and classic red velvet, plus other sweet, pop-in-the-mouth morsels and a choice of fruit tarts, mini pastries and colourful French macaroons. All cupcakes £2.50. More info at www.savoirdesign.com. 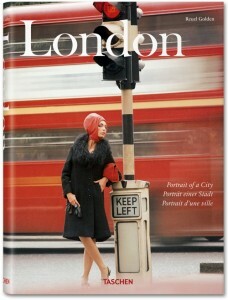 In London: Portrait of a City (Taschen), the city’s remarkable history, architecture, landmarks, streets, style, cool, swagger, and stalwart residents are pictured in hundreds of compelling photographs sourced from a wide array of archives around the world. London is a vast sprawling metropolis, constantly evolving and growing, yet throughout its complex past and shifting present, the humor, unique character, and bulldog spirit of the people have stayed constant. All is documented in this beautiful coffee-table book with photographs by Slim Aarons, Eve Arnold, David Bailey, Cecil Beaton, Bill Brandt, Alvin Langdon Coburn, and others. Hardcover, 9.8 x 13.4 in., 552 pages: £44.99. More info at www.taschen.com.